Two tone gold ring with a criss cross design. 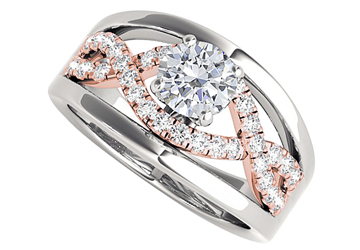 Center stone cubic zirconia is fixed in prong setting over the ring. A unique jewelry gift for her. 1.50 CT TGW.